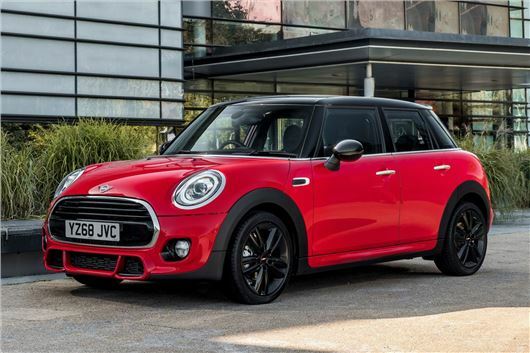 MINI is launching three new trim levels in a bid to offer more choice yet supposedly reduce confusion for buyers. Traditionally buyers have chosen which engines they want and then bought option packs to create a MINI in the specification they'd like. Now MINI's axed the traditional option packs and is introducing a new five-step ordering process. As before, you will start by choosing from five basic models: the 3-door Hatch, 5-door Hatch, Convertible, Clubman or Countryman. You can then select a petrol or diesel engine, badged the One, Cooper, Cooper D or Cooper S, with power ranging from 102PS to 192PS. The third stage is the biggest change in the new process - selecting a 'style'. The basic Classic is the entry-level trim-level and comes with a 6.5-inch colour infotainment screen, DAB digital radio and Bluetooth connectivity. It also includes ambient lighting and automatic headlights with rain sensor. Prices for the Classic start at £16,190 when paired with the three-door Hatch bodystyle and One petrol engine. The Sport starts at £20,230 and builds on the Classic trim with a number of sporty touches, including a John Cooper Works aerodynamic kit and spoiler, John Cooper Works alloy wheels, sports suspension and bucket seats. Priced the same as the Sport, the Exclusive takes a more luxurious approach with extra chrome on the exterior, Exclusive alloy wheels and leather upholstery. Both the Sport and Exclusive are available with Cooper and Cooper S engines, while the Classic can be paired with the One or Cooper. The fourth step of the ordering process is the option of two new packs - Comfort or Comfort Plus. The Comfort pack adds rear parking sensors, dual-zone air conditioning and heated seats, while the Comfort Plus adds a reversing camera, front parking sensors and folding door mirrors. Finally, the fifth step allows the customer to personalise their MINI with a range of exterior, interior, safety and technology options. As part of the new ordering process, buyers can now create their car and purchase it via MINI's website. It'll also let them arrange a test drive, take out finance and get a trade-in value for their car before finalising a delivery date at their local MINI dealer. The new MINI trim-levels are available to order now.